Kuehne + Nagel provides sea transport management solutions for Metro Group Buying Hong Kong Ltd.
Metro Group Buying Hong Kong Ltd., a subsidiary of Metro Group, one of the largest retailing companies with around 2,200 stores in 32 countries in Europe, Africa and Asia, has chosen Kuehne + Nagel as its provider of sea transport management services. According to the three-year agreement, Kuehne + Nagel will be in charge of the seafreight management for Metro Group Buying Hong Kong Ltd. The scope of responsibilities includes the coordination and booking processes for the company's seafreight shipments and the provision of value-added services, such as buyer's consolidation services. 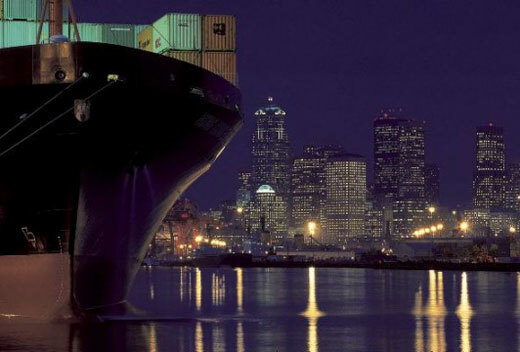 The shipments originate from Xiamen, Fuzhou, Ningbo, Brazil, Egypt, Israel and Bangladesh. "With Kuehne + Nagel's sea transport management solutions, we are able to optimise our supply chain processes. A single point of entry for our local organisations ensures an enhanced control and management of our seafreight shipments and improves customer service," said Marco van der Schans, Executive Manager Logistics of Metro Group Buying Hong Kong Ltd.
"Sea Transport Management is a customer oriented, flexible product of Kuehne + Nagel," commented Andy Weber, President of Kuehne + Nagel (Asia Pacific) Management Pte. Ltd. "Customers who have their own capacity contracts with shipping lines can benefit from the company's highly specialised seafreight coordination services supported by advanced information systems providing visibility, monitoring, reporting and network management."